Marlene Stern, associate director for mentoring and networking, said that given other priorities and recent restructuring at the CDC, the event might not have been held this year if not for an article that she read on the Vice Provost for Graduate Education’s site written by Shannon Birk Jibaja M.A. ’13, praising last year’s program. The weeklong series of events connected students in the Humanities and Sciences with alumni from various fields for brief informational interviews as a way to let students practice interviewing strategies in a controlled setting. While Stern said that approximately 60 percent of Stanford students find jobs through networking, she notes that many people are not eager to take advantage of networking opportunities because they have a negative view of networking itself. Skye Free ’14, a co-terminal masters candidate in Sociology who attended the interviewing practices, agreed with this perception. “Sometimes networking is very artificial because you obviously have to do a lot of networking and do it purposefully to reap a lot of benefits,” Free said. Pearle Lun ’14 expressed similar hesitancy over the career strategy. “I feel weird about approaching people and making that connection for the sole purpose of getting a job in the future or getting a recommendation,” Lun said. The program’s workshops aimed to defeat this negative impression by teaching students how to effectively network and feel comfortable doing so. “One of the main goals of the program is to get students comfortable with informational interviewing so that they will be more likely to utilize the numerous different networks on campus to reach out on their own,” Stern added. Throughout the week, registration priority was given to students from the School of Humanities and Sciences. 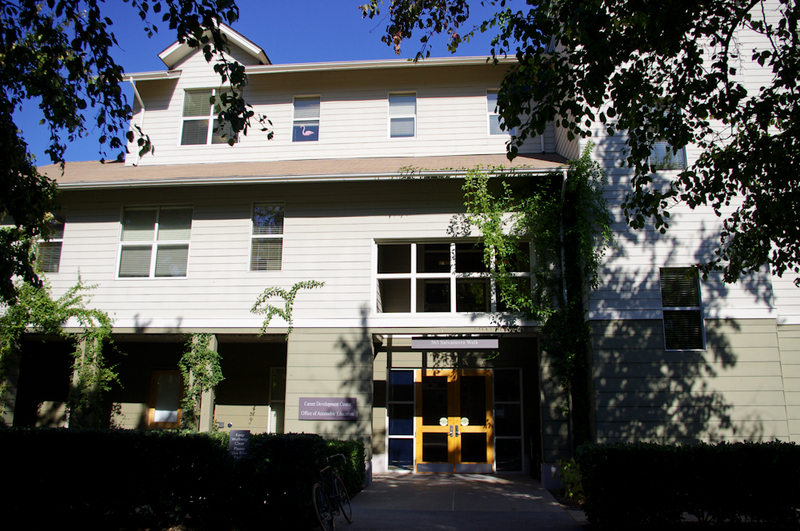 Rebecca Bjorklund, career counselor and Humanities and Sciences liaison for the CDC, said the center is working to provide more resources for these students, who may feel underserved by existing programs. “I think students in the Humanities and Sciences sometimes need to take a step back and look at the skills that they’ve acquired throughout their years at Stanford,” Bjoklund added. Despite the focus on students from the School of Humanities and Sciences, Stern said that students with a variety of interests participated in the program’s informational meet-ups. “It was actually quite a breadth of career fields, which was great because it also let students see that there are a diversity of things that one can do, regardless of their major and background,” Stern said. She added that networking and informational interviewing are useful for many purposes. “Networking is important for people in general, for information gathering around all kinds of topics, not just careers,” she said. Lun, a History and Anthropology major who is considering starting her own business after graduation, agreed. Free, who was apprehensive about reaching out to professionals to build her network, said that participating in the program helped her change her outlook on the strategy. Based on feedback from last year – when students were not able to choose the alumni with whom they were paired for informational interviews – students were invited this year to read biographies of the participating alumni in advance of the event and sign up to meet with those whose backgrounds sounded most interesting. Bjorklund said that students were also encouraged to interview with alumni whose interests did not exactly match theirs. Contact Sam Kurland at kurlands ‘at’ stanford.edu.